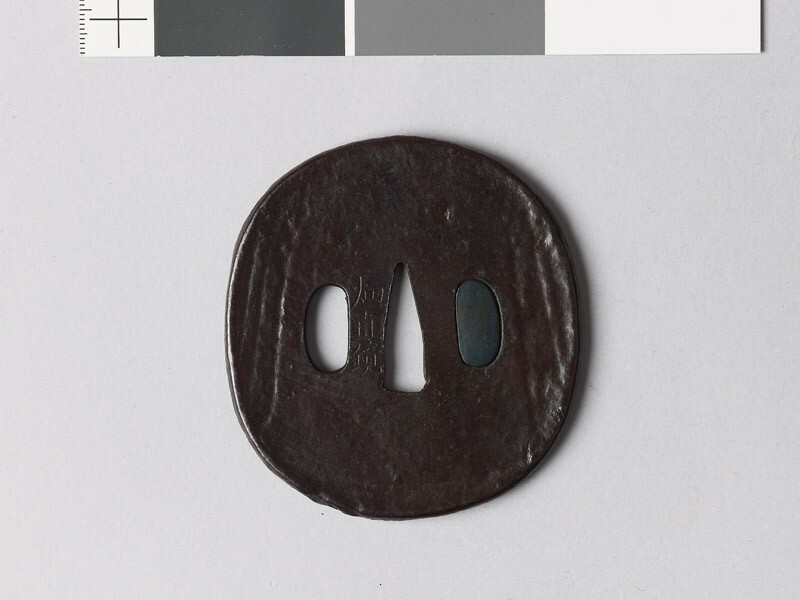 About the year 1150 the famqus Munesuke, descendant of a. long line of armourers bearing the family-name of Masuda, was granted the Emperor’s permission to change this name to Miōchin [Japanese text] and founded the celebrated school, already mentioned under Group II, of which twenty-seven hereditary Masters are recorded, besides a host of collateral members and pupils. 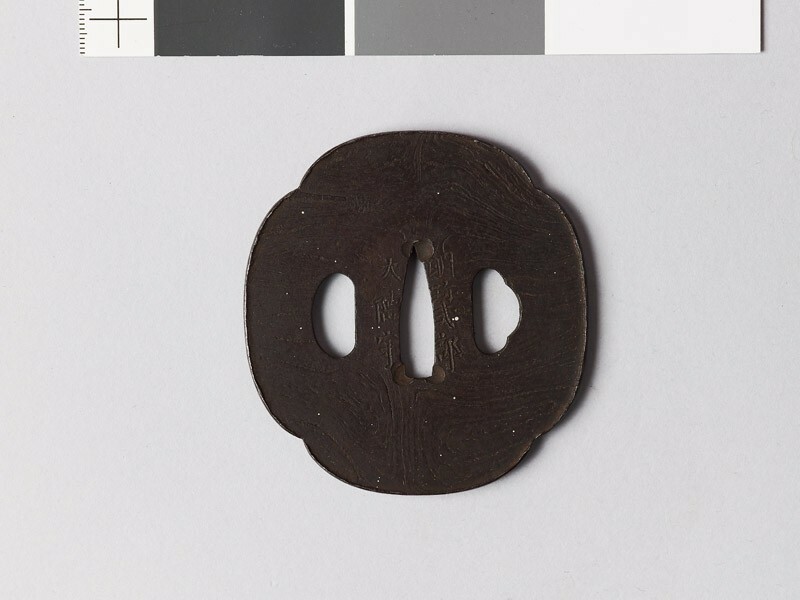 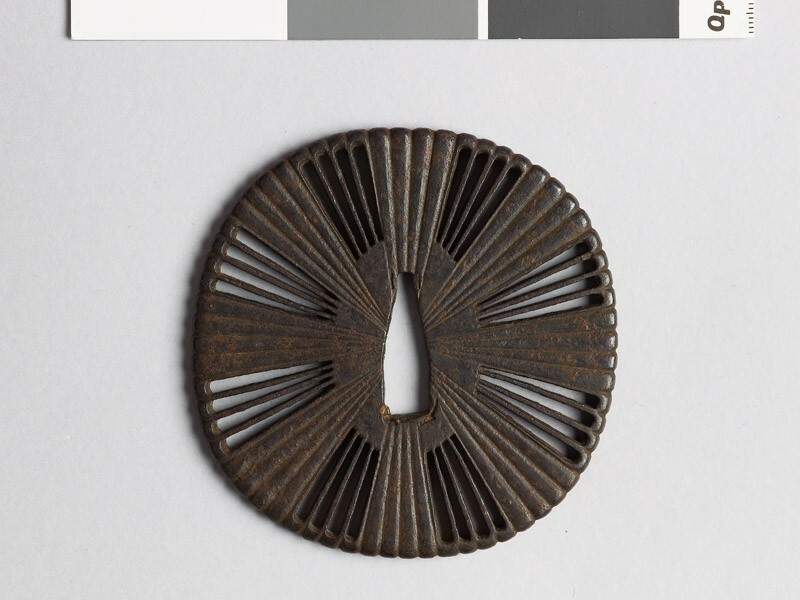 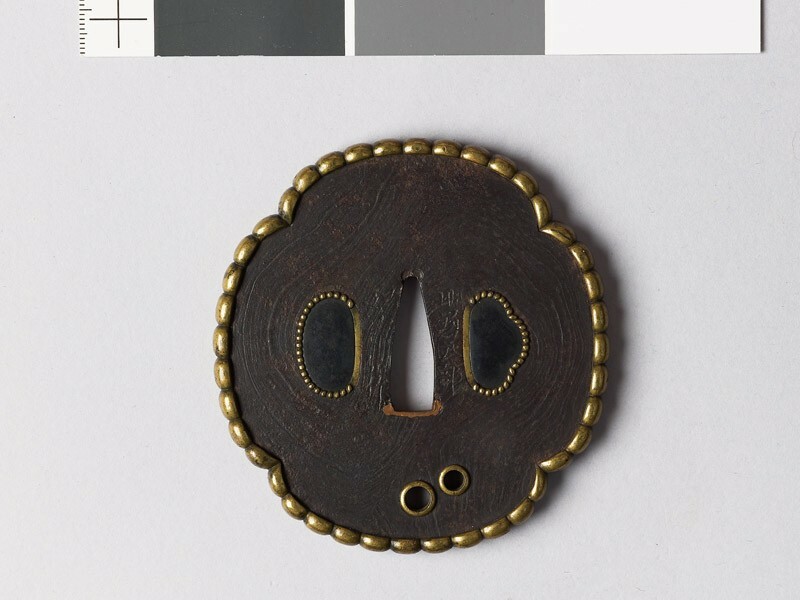 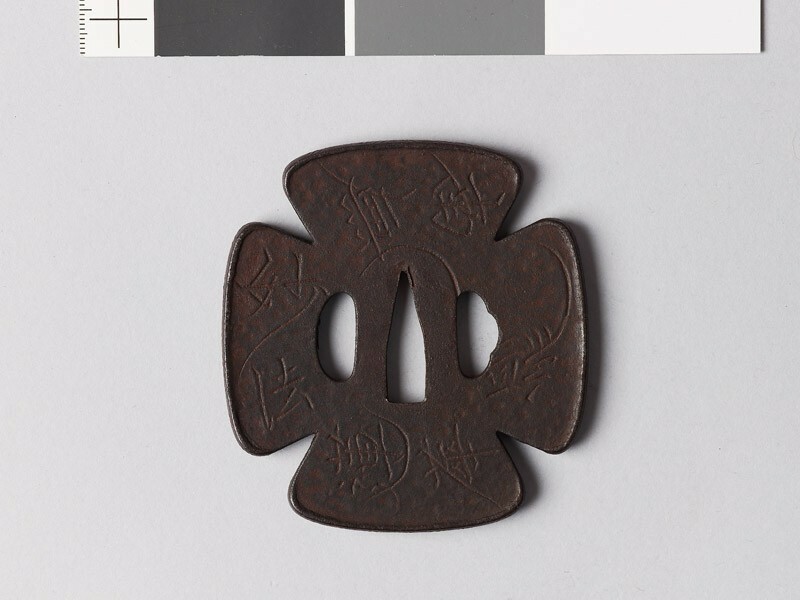 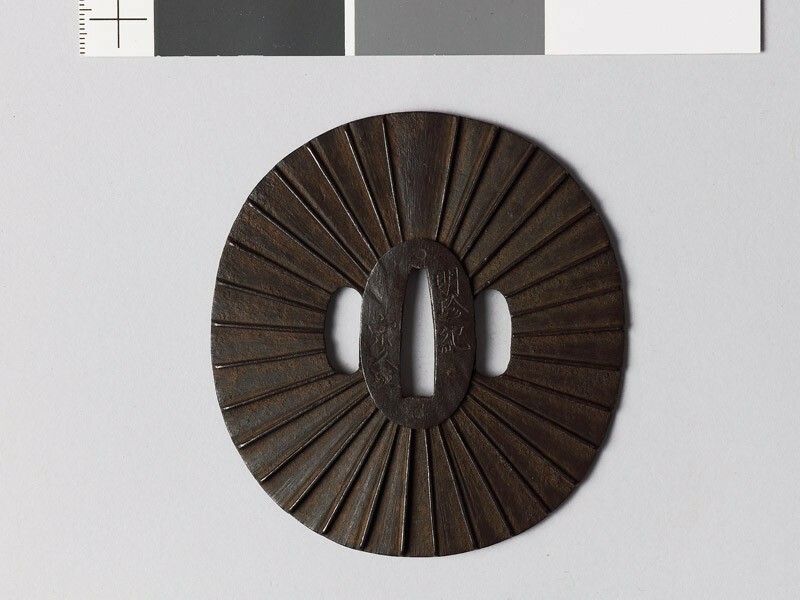 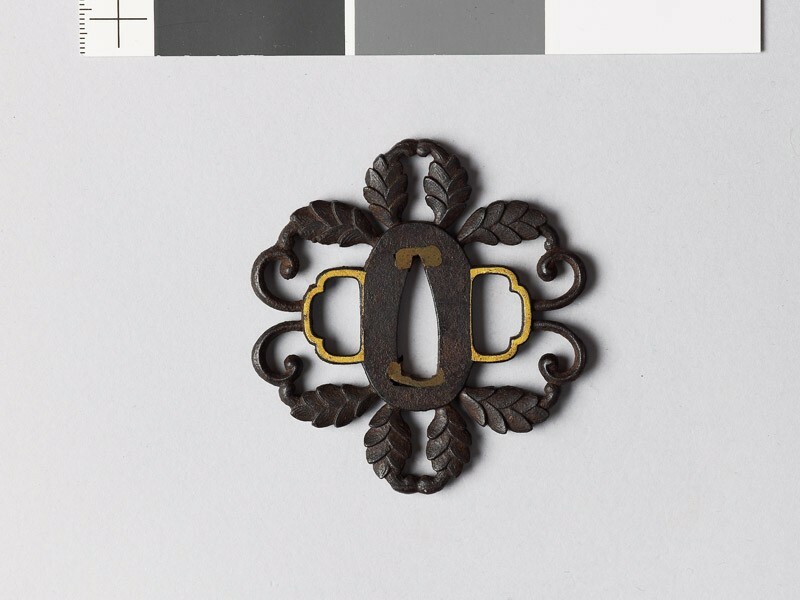 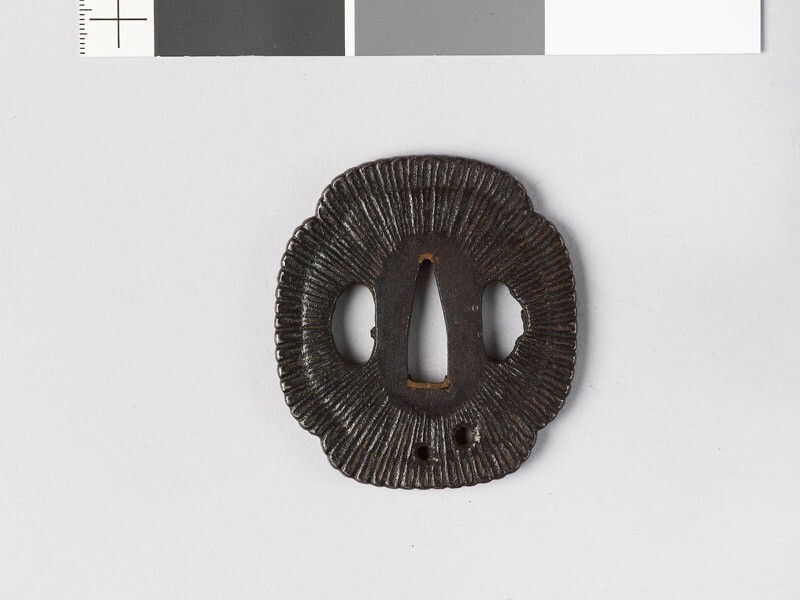 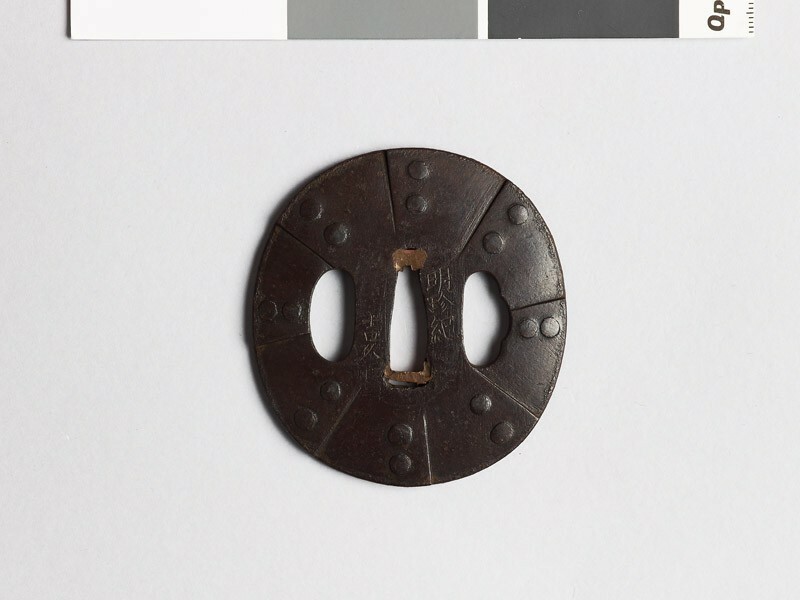 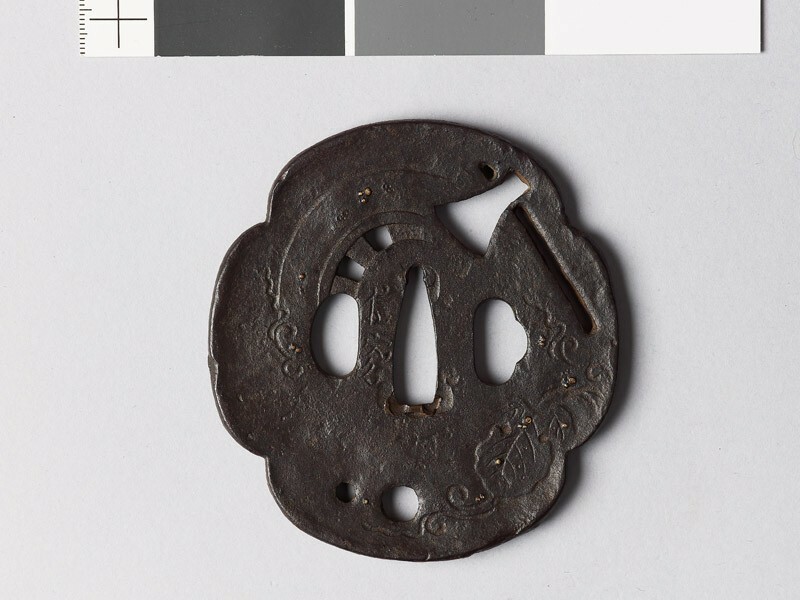 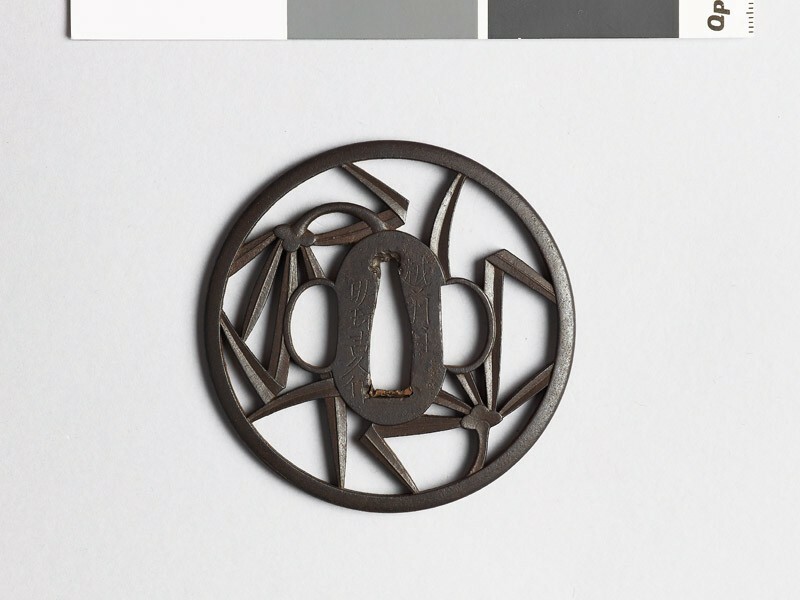 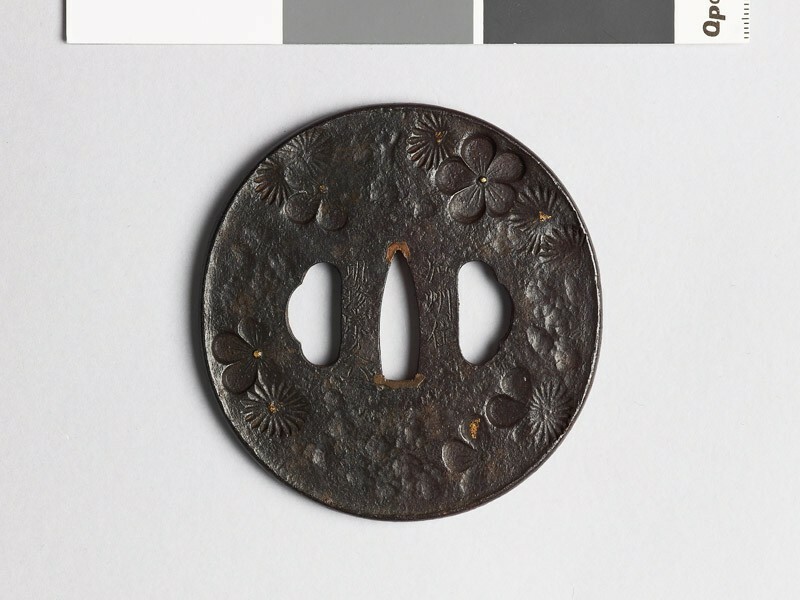 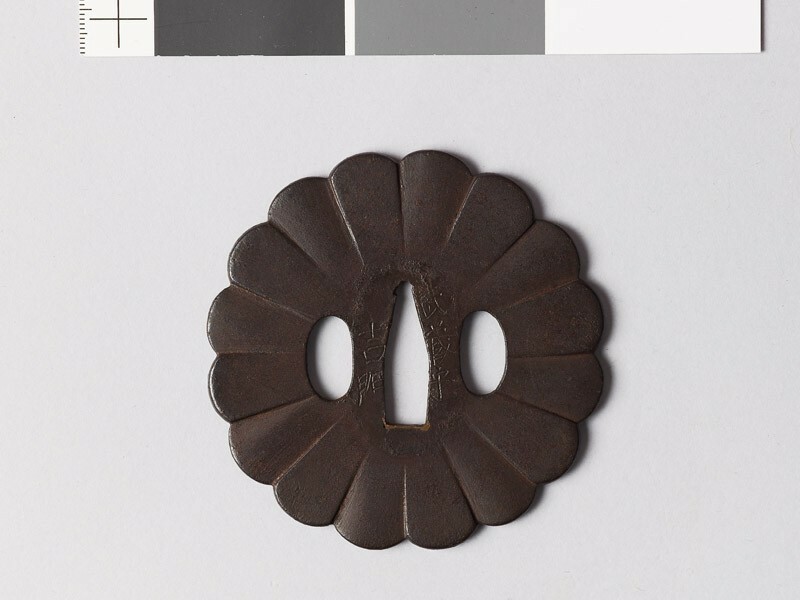 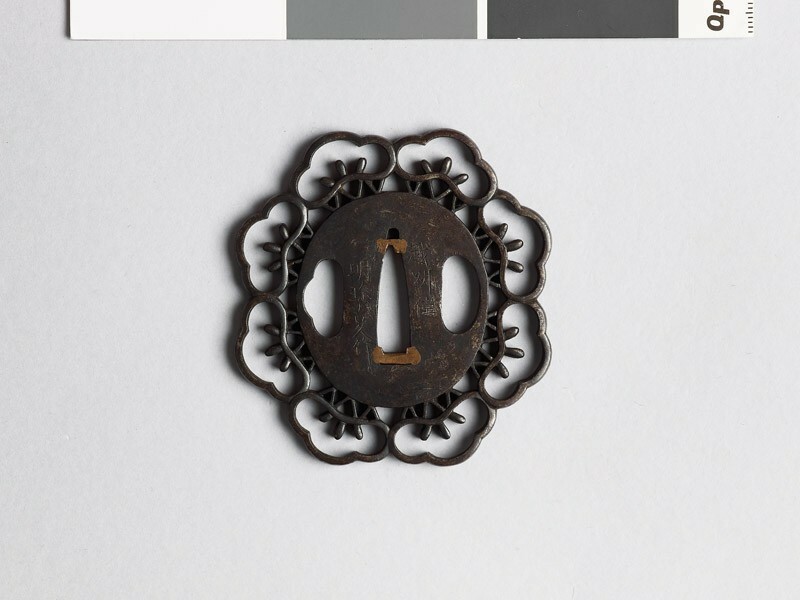 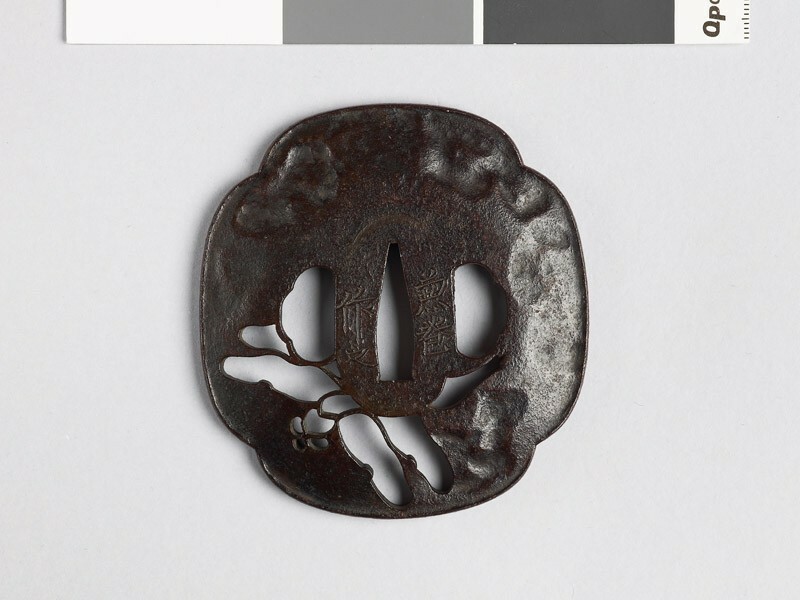 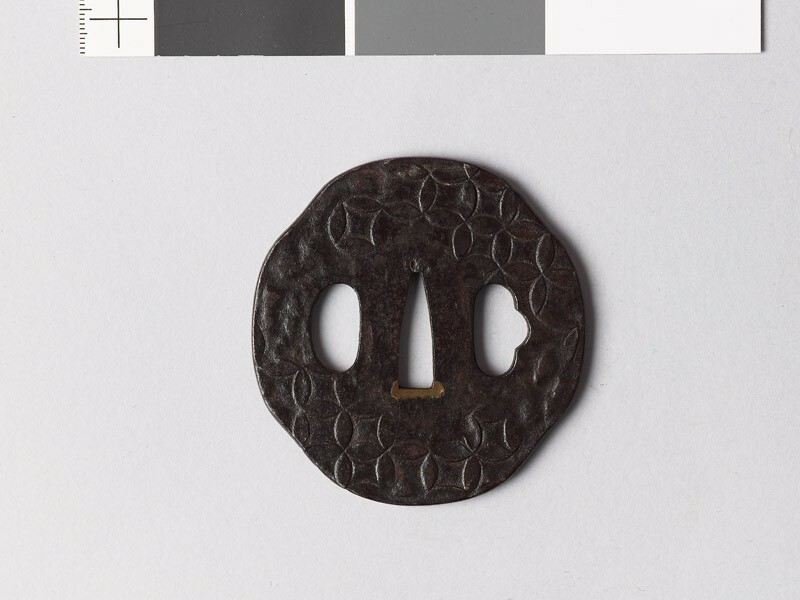 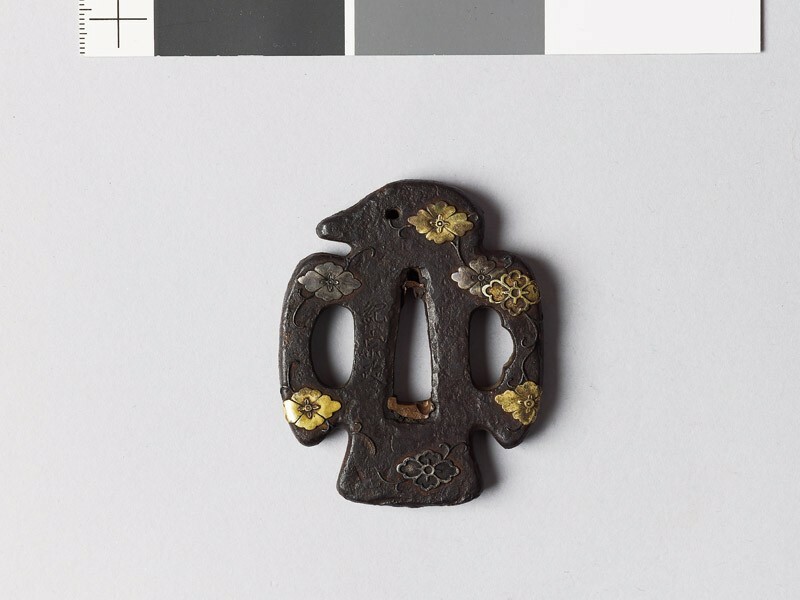 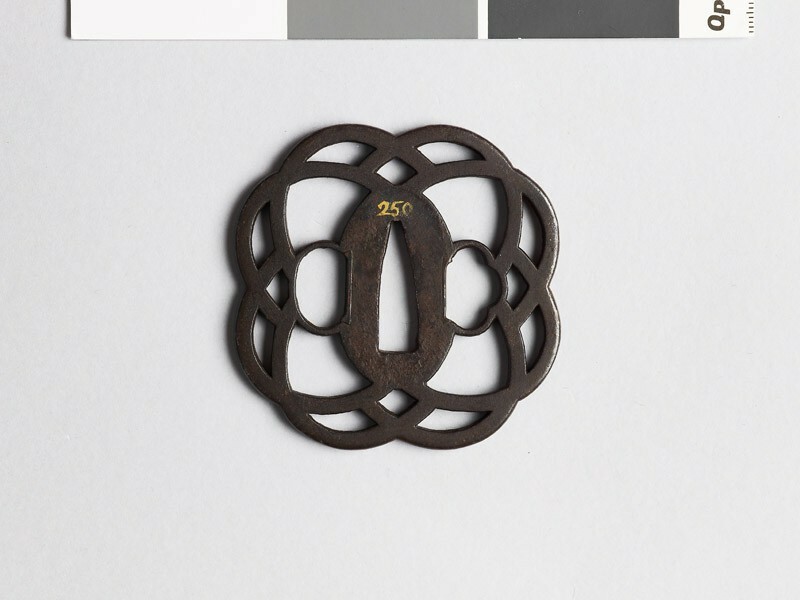 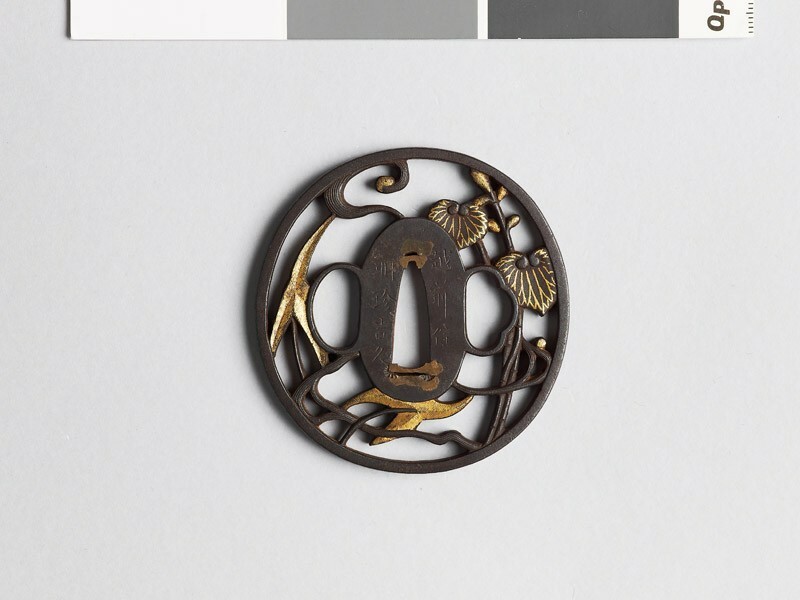 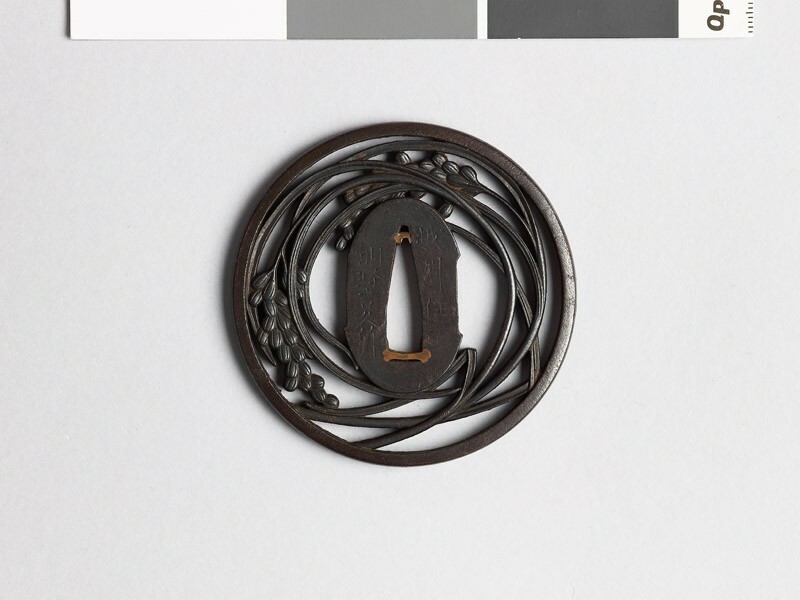 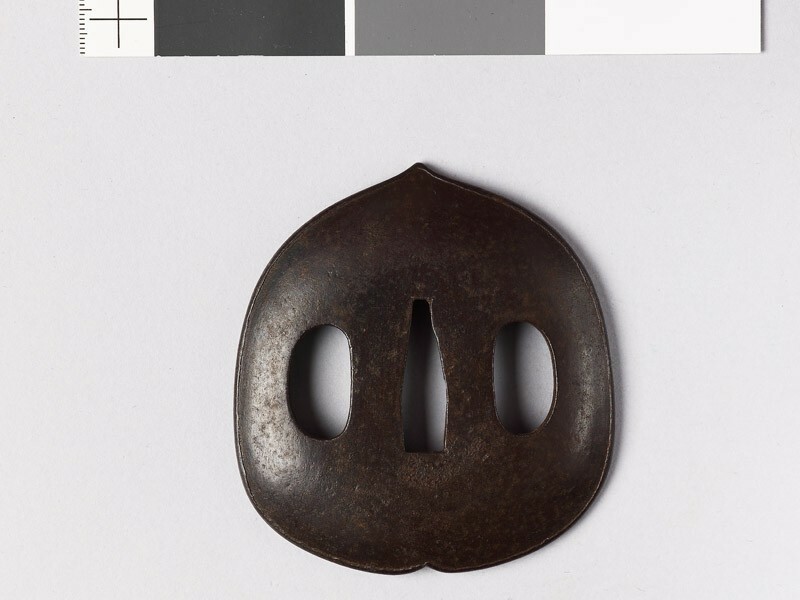 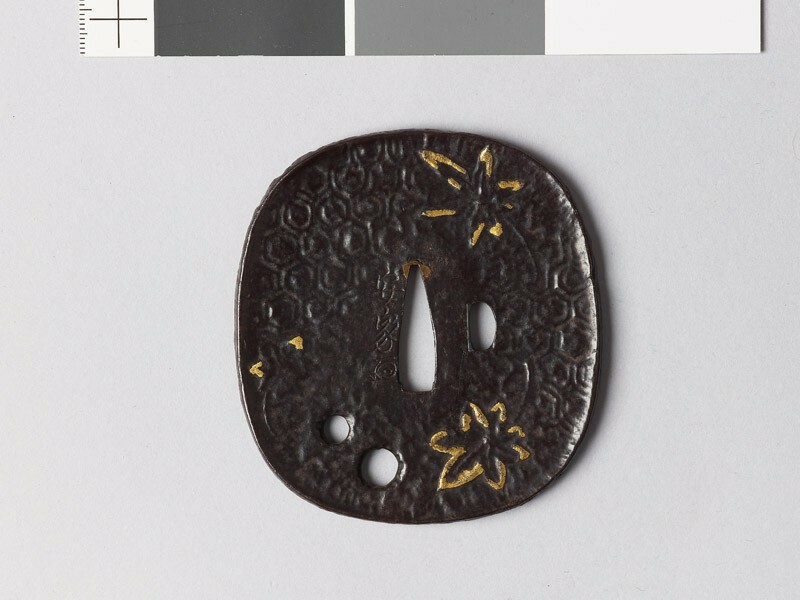 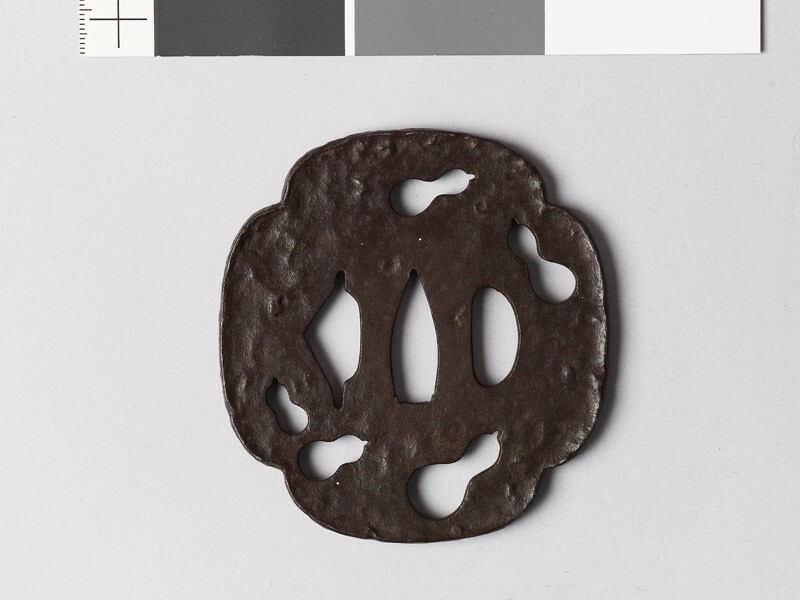 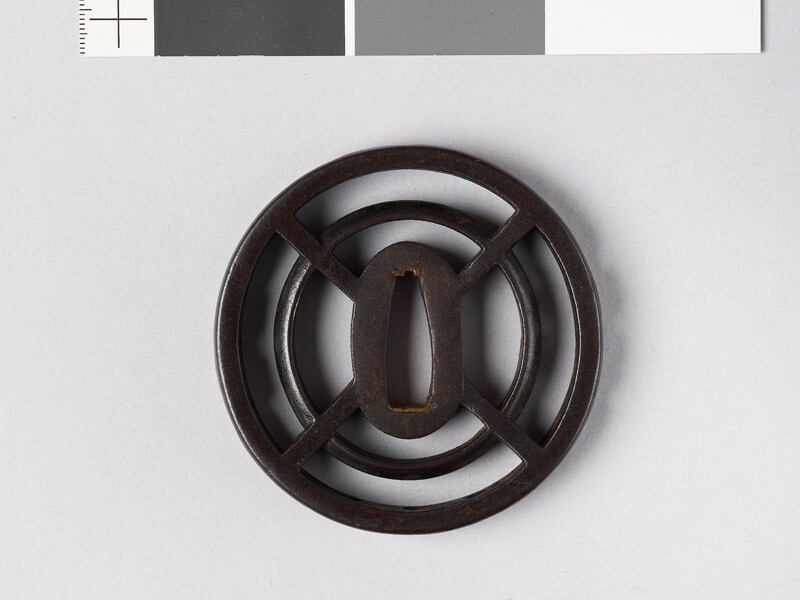 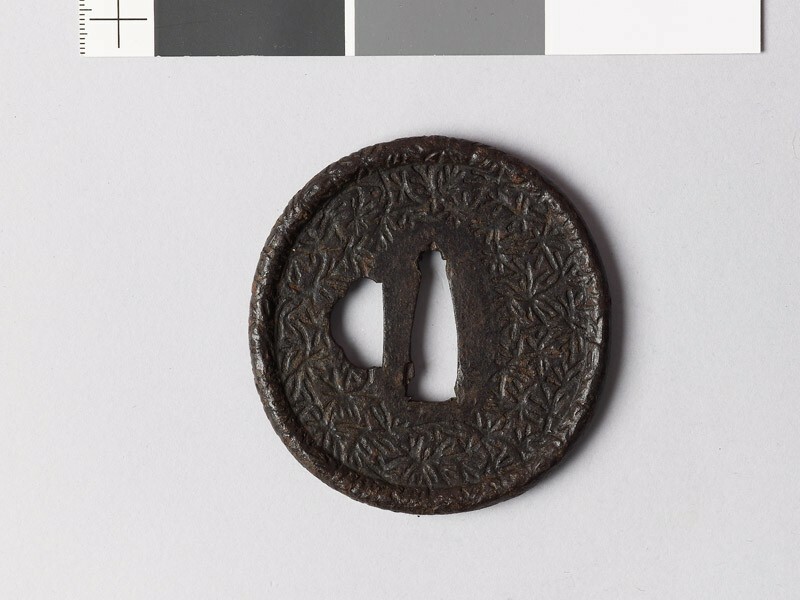 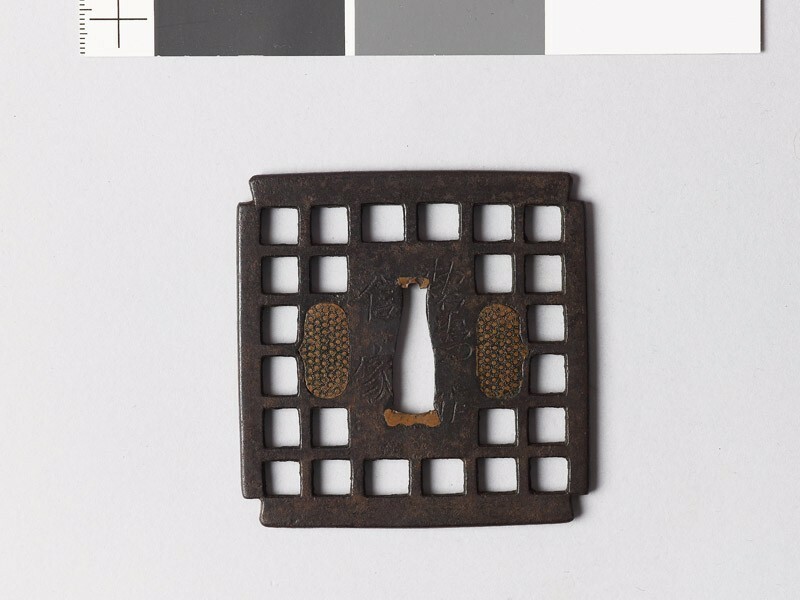 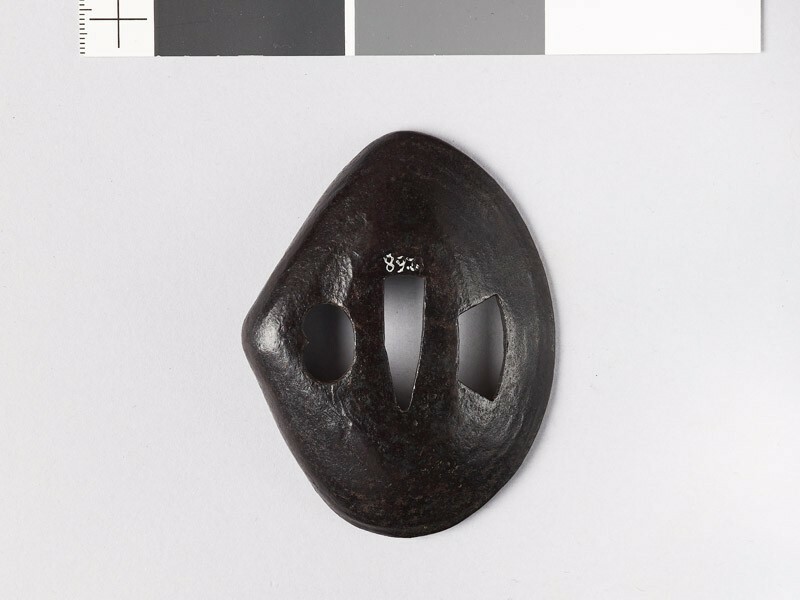 True Miōchin work on tsuba betrays the smith in the perfection of its iron and the broad, powerful, almost austere dignity of its design. The metal is often treated as it were mere wax, but always with effects entirely suited to the material. 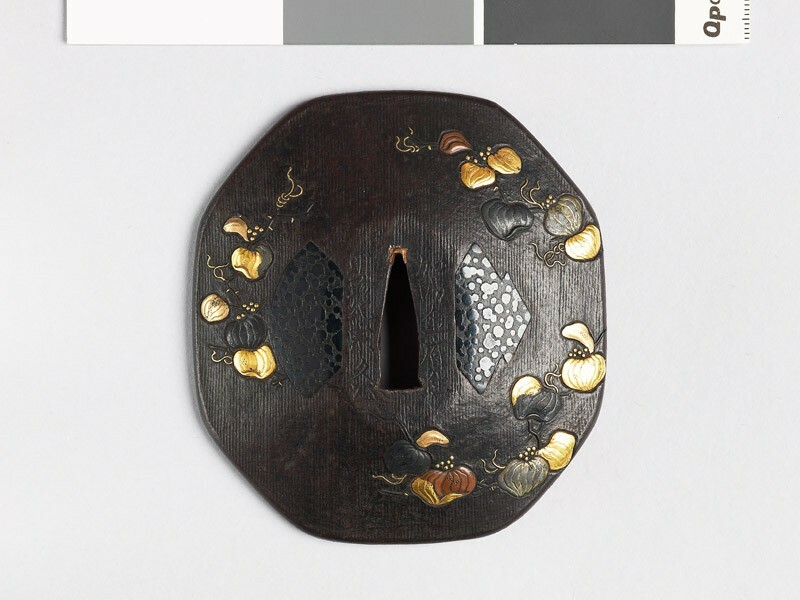 The 17th Master, Nobuiye I [Japanese text] who worked in various provinces, dying in 1564 at the age of 79, stands out from the rest of the Miōchin, producing work which has little resemblance to theirs; thick guards, circular or mokkō in form, occasionally pierced, but more often decorated with bold engraving of octagon diaper (kikkō), botanical and other designs. Nobuiye I was followed by numerous other workers, some bearing the same name, and, as usual, by a host of imitators. 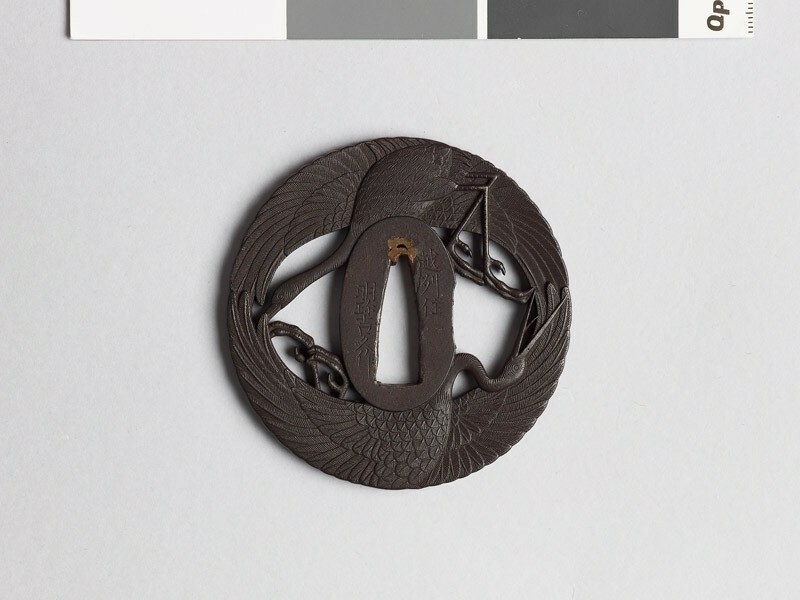 A branch of the Miōchin, working in Echizen province, puts forth its 19th master in the 19th century- all of them signing the same name, Yoshihisa [Japanese text]. 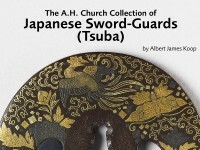 Their later work resembles that of the Kinai (Group XVI). 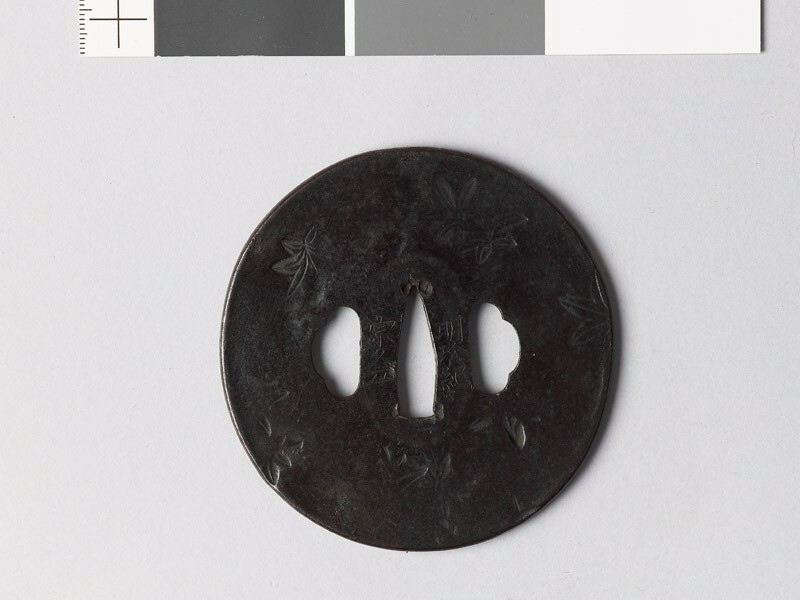 Another branch, dating fiorn the time of Nobuiye I, bears the family-name of Sōtome [Japanese text], but its work generally displays Shōami influence (Group XII).